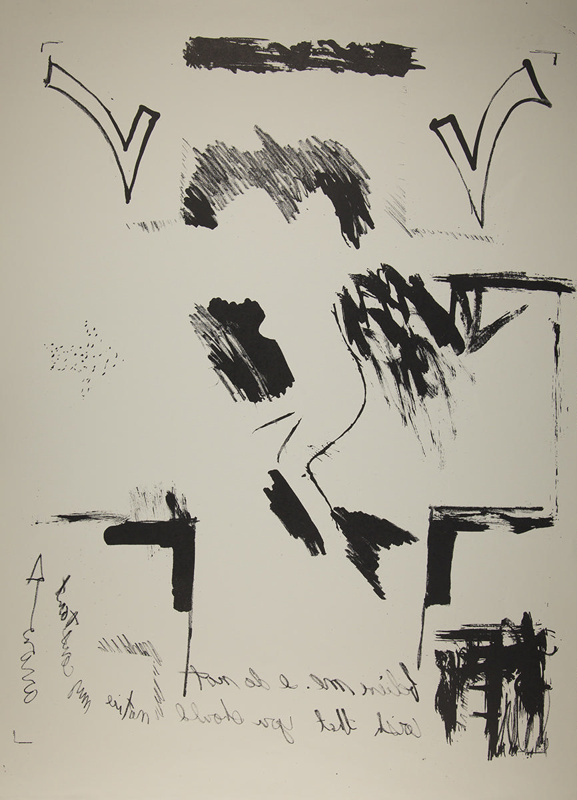 This black and white lithograph features the text “Believe me. I do not wish that you should notice my constant arrows” printed in reverse, with an arrow extending from the s in “arrows.” There is a checkmark on either corner at the top of the print, and what could be the abstract outline of a female figure. Other than that, the print consists of heavy black lines, and one faint arrow. There are three copies.